If you don’t think snakes can be cute, perhaps you’ve just never seen a smooth green snake (Opheodrys vernalis). A cousin of garter snakes and rat snakes, the smooth green snake is in the Colubridae family. They are found throughout the continental United States, southern Canada, and northern Mexico. The smooth green snake looks similar to the rough green snake (O.
aestivus) but can be distinguished by its namesake smoother scales and more terrestrial lifestyle. This slender snake only grows to around one to two feet (30-60 cm) long. Since they are small and non-venomous, they’re harmless, unless you’re a small invertebrate. Much like The Lion King’s Timon and Pumbaa, smooth green snakes primarily eat insects, spiders, worms, and snails (1,2,3,5). From June to September, the female smooth green snakes lay eggs in burrows under logs, rocks, or vegetation. Multiple females have been observed depositing eggs in one communal nest site. The eggs can hatch anywhere from four to thirty days later. The incubation period is thought to vary greatly due in part to the female’s ability to retain the eggs in her body, which helps speed their development. Born with no need for parental care, hatchlings grow quickly and can triple in size within their first year of life (1,2,3). From November to March, smooth green snakes spend the winter hibernating. Hibernacula (places where animals hibernate) can be under rocks and logs or inside anthills and abandoned rodent burrows (1,2,3). Individuals frequently hibernate together and have even been known to share hibernacula with other species including their close relative the garter snake (genus Thamnophis) or even skinks (genus Plestiodon) (1). Year-round, this reptile prefers to live in moist and grassy habitats in prairies or near marshes and lakes, although they can sometimes be found in drier habitats like forests. 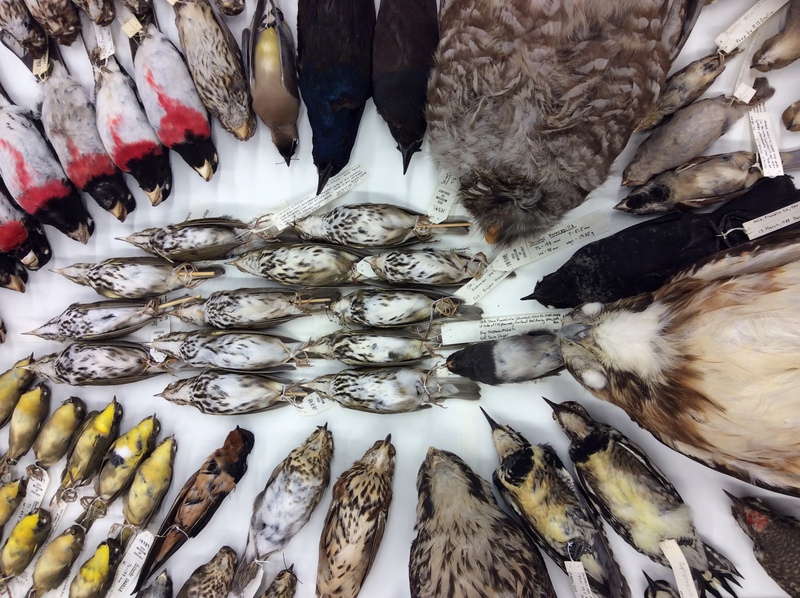 As prairies and marshes have given way to neighborhoods and shopping centers, the wildlife that lived in those habitats has also disappeared (1,2,3,5). Unfortunately, the smooth green snake is no exception. In Ohio, the smooth green snake is endangered and is only encountered in the extreme southwest of the state (if at all)(5). However, the species as a whole is considered stable and smooth green snakes are still populous in other parts of their range for now (4). Because this species can be hard to find in the wild and usually does not thrive in captivity (1,2), museum specimens are an important source of information for scientific studies. 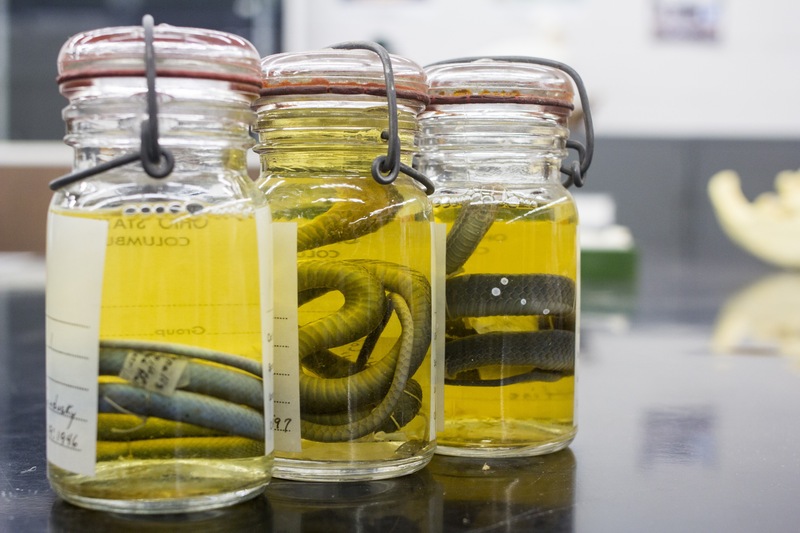 At the Museum of Biological Diversity, we have sixteen smooth green snake specimens. They were collected between the 1920’s and 1960’s and the majority were found in Ohio. For more information about the smooth green snake and their range in Ohio, watch this video. 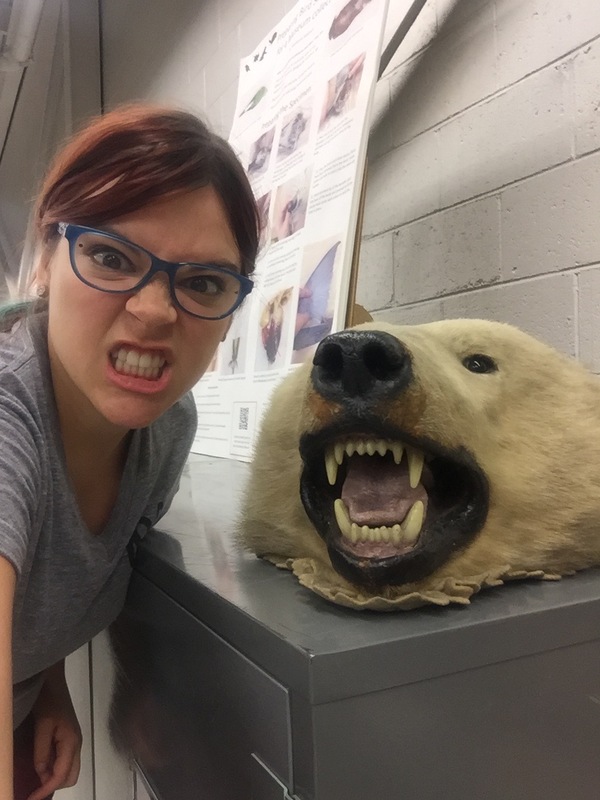 Abby Miller is a 2nd year majoring in Zoology at the Ohio State University and is a volunteer in the Tetrapod Collection. “Smooth Green Snake.” Lincoln Park Zoo. Lincoln Park Zoo, n.d. Web. <http://www.lpzoo.org/animal/smooth-green-snake>. “Opheodrys Vernalis (Smooth Green Snake).” Animal Diversity Web. Regents of the University of Michigan, n.d. Web. <http://animaldiversity.org/accounts/Opheodrys_vernalis/>. 5. “Smooth Greensnake – Opheodrys Vernalis.” ODNR Division of Wildlife. 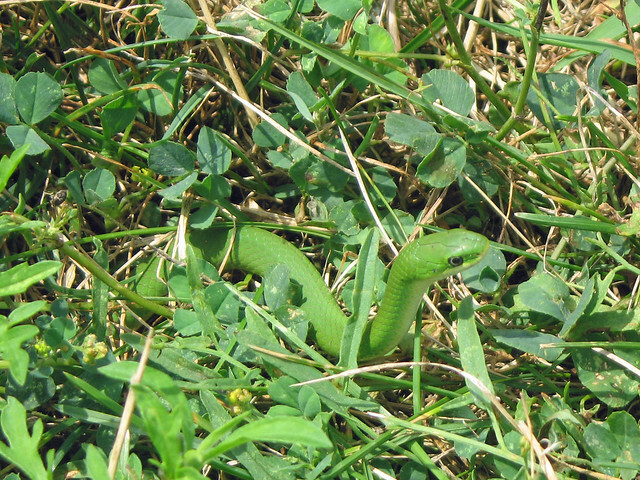 Ohio DNR, n.d. <http://wildlife.ohiodnr.gov/species-and-habitats/species-guide-index/reptiles/smooth-greensnake>. 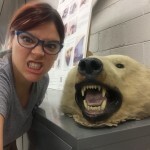 Posted by Stephanie Malinich at 1:26pm Posted in Museum of Biological Diversity, Reptiles, Species of the month, Students, Uncategorized. Bookmark the permalink.